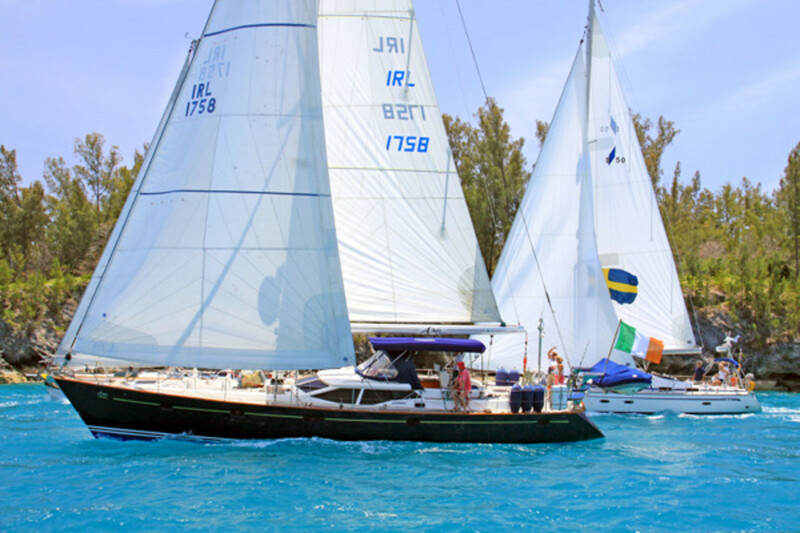 Have you ever wondered what brands and models are the most popular bluewater cruising boats? So have we, so we plundered the archives of the World Cruising Club to see which boats have featured most prominently in the last five years of the rallies that the WCC organizes—the Atlantic Rally for Cruisers (ARC) from the Canary Islands to St Lucia; the Caribbean 1500 from Portsmouth, Virginia to Tortola, BVI; the ARC Europe, from Tortola and Portsmouth to Portugal via Bermuda and the Azores; and the World ARC, a biennial circumnavigation. We weren’t surprised to find that mass production boats, once looked down upon by “serious” voyagers, now make up the bulk of the rally fleets. No longer, it seems, does the aspiring bluewater cruiser seek out slow, heavy-displacement boats with tiny cockpits and conservative rigs. As the mass-market builders produced ever-bigger models over the last 20 years, and evolving technology improved their engineering and durability, so owners began using these boats for ever-longer passages. Armchair admirals and chat-room bores may warn dolorously of lightweight structures failing in big seas and rigs crumpling at the merest hint of a hurricane, but given good preparation and a capable crew, the typical production boat is quite capable of surviving some very nasty conditions. 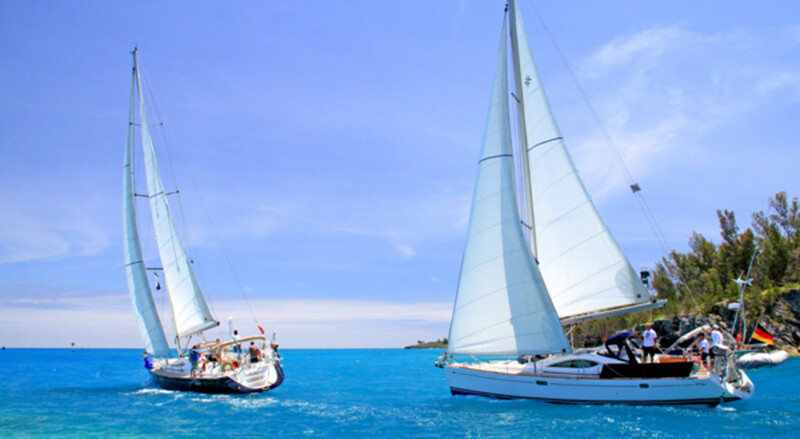 For the trade wind passages that make up the bulk of bluewater cruising, there should be no argument about whether a suitably prepared production boat will make it across an ocean. For sailors who can’t afford or justify one of the high-ticket deluxe cruising boats, it’s good to know there are plenty of good options among the ranks of moderately priced production cruisers. 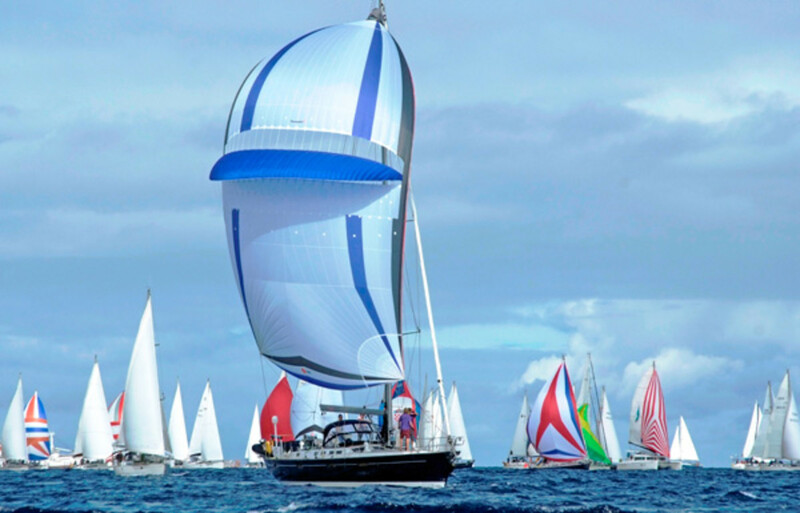 The following boats were the 12 most numerous in the last five years of WCC rallies and do not represent a definitive list of the most popular cruisers worldwide. Some will surprise you; others will not. What is it about this design that makes it such an attractive bluewater boat? Conceived as an all-round performance cruiser, the 54DS obviously struck a chord with the passagemaking crowd. The eye-catching, swooping lines of its superstructure were quite a sensation during its debut in 2003, but its blend of generous accommodations, solid build quality and powerful, predictable performance sealed the deal for many owners. Designed by Jacques Fauroux, the 54DS came with a deep-draft keel and a standard in-mast furling mainsail; an optional full-battened main was the choice of most long-distance cruisers. For a boat focused on the needs of the lucrative charter market, the Sun Odyssey 49 has proved a remarkably adept bluewater cruiser. A large cockpit, easily managed sailplan and fine all-round performance obviously have something to do with this; cool features like a dedicated sail locker in the bow and a large nav station belowdecks don’t hurt either. The twin aft cabins are divided by a removable bulkhead that converts the space into a vast single cabin. Henri Amel was a man with a vision of what the ideal cruising boat should be, and the Super Maramu was its culmination. You didn’t get much latitude when choosing equipment for this boat; it came as a turnkey ocean crosser, with little latitude for customization. This 53-footer is idiosyncratically French, and it’s also a superbly focused bluewater cruiser. Designed to be handled by a couple, its ketch rig is docile yet effective, with sails set on electric furling gears and some ingenious sail handling systems. Nearly 500 of these boats were built before Amel replaced it with the 54. These tough center-cockpit cruisers from Sweden have generated their own mystique over the decades, and there’s no doubt they live up to it. 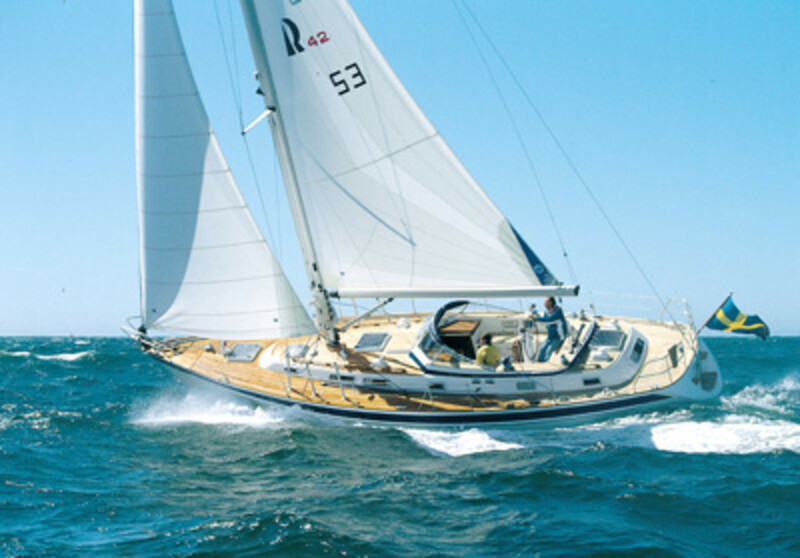 The 42F is typical of the breed; designed by German Frers, its build quality is exemplary and its seakeeping abilities are almost beyond reproach. Belowdecks, not a cubic inch of space is wasted in a layout that’s as ergonomically impeccable as it is beautifully finished. There are two versions of the 42: one designed by Olle Enderlein and built from 1980-91; and the 42F, which was built between 1991-2001. These boats are fourth and fifth in the numbers of rally entrants. 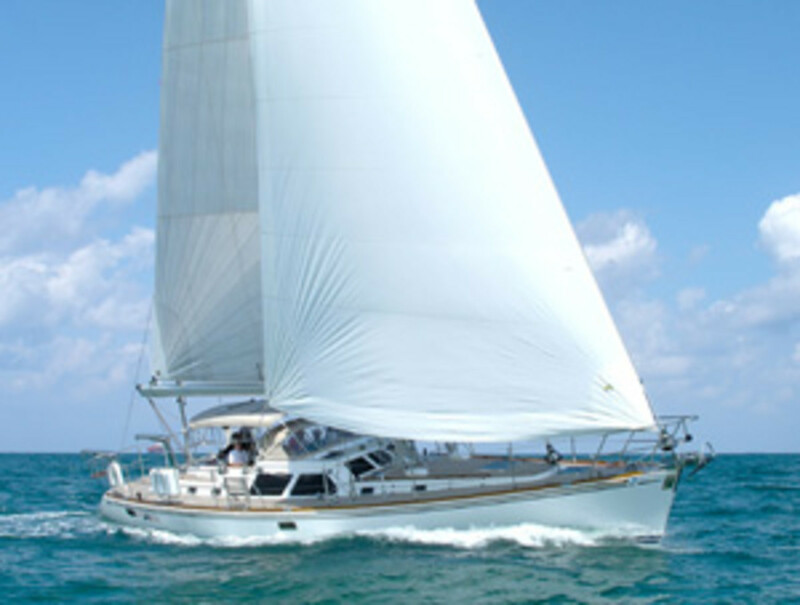 It’s no surprise that this German Frers design figures so strongly on the wish list for many wannabe bluewater cruisers. The hull is strongly built and easily driven by the masthead sloop sailplan—200-mile days are easily attainable—and the deck layout is a model of ergonomic efficiency. Belowdecks, no two boats are the same, as the builders allow for a good deal of flexibility in layout and finish. An RS (Raised Saloon) version adds to the already generous interior volume. The new Hylas 56 is based on the same sleek hull. 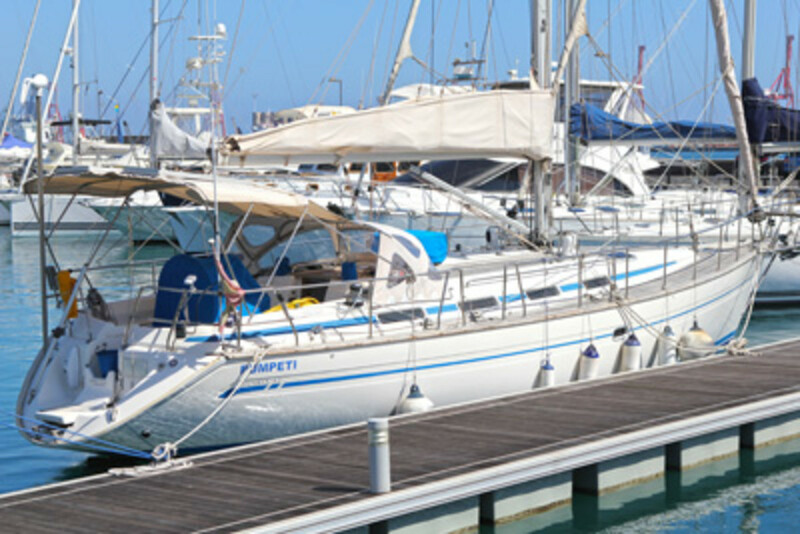 Owners cite excellent seakeeping and ease of handling. This boat was a shot across the bows of high-end boatbuilders, signaling Beneteau’s entry into the luxury cruiser niche. The Farr-designed hull was fast and pretty, the center-cockpit layout eminently practical in a boat of this size, and the quality of finish and systems were impressive—and the price was extremely competitive. 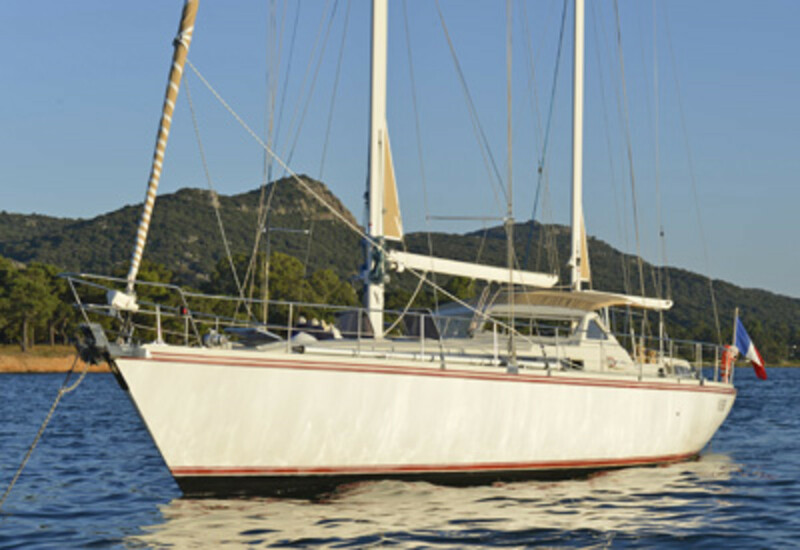 For well-heeled sailors who couldn’t or didn’t want to make the leap into an Oyster, the 57 was a viable alternative that soon drew other mainstream builders into the over-50 foot market. In the ranks of dream bluewater cruisers, Oyster is right up there. The 56 is the British yard’s most popular boat; small enough to be handled by two people, big enough to cross an ocean quickly and comfortably, yet not so large or complex as to need a full-time pro crew. 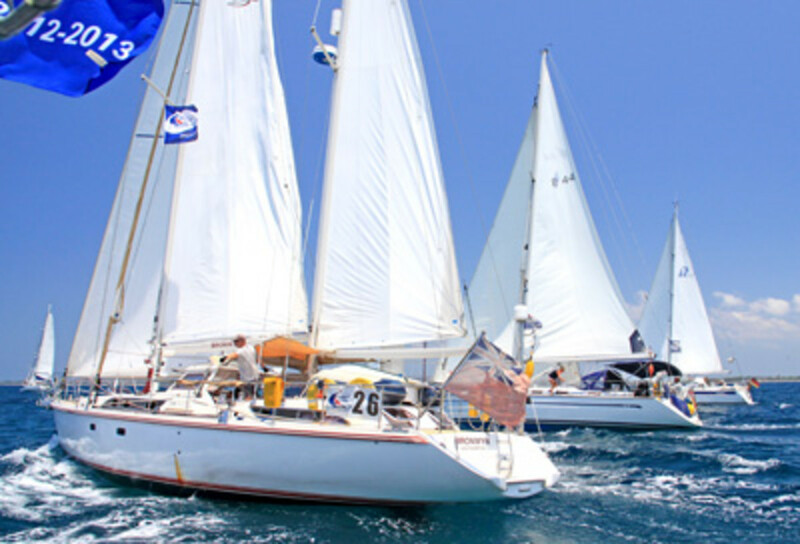 Every aspect of the design and build is top-notch, and the boats consistently win their class in rallies and other regattas where cruising boats can compete. 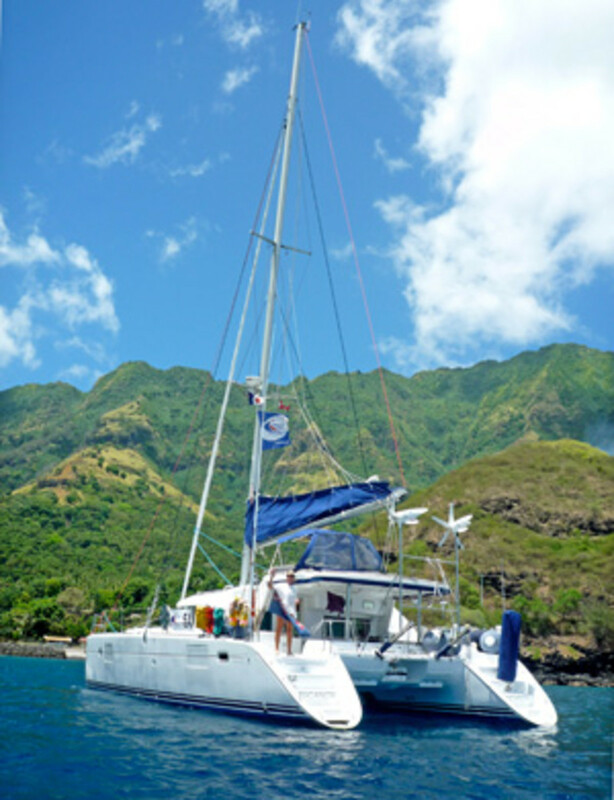 While sailhandling systems are optimized for a small crew, there are comfortable accommodations for six. 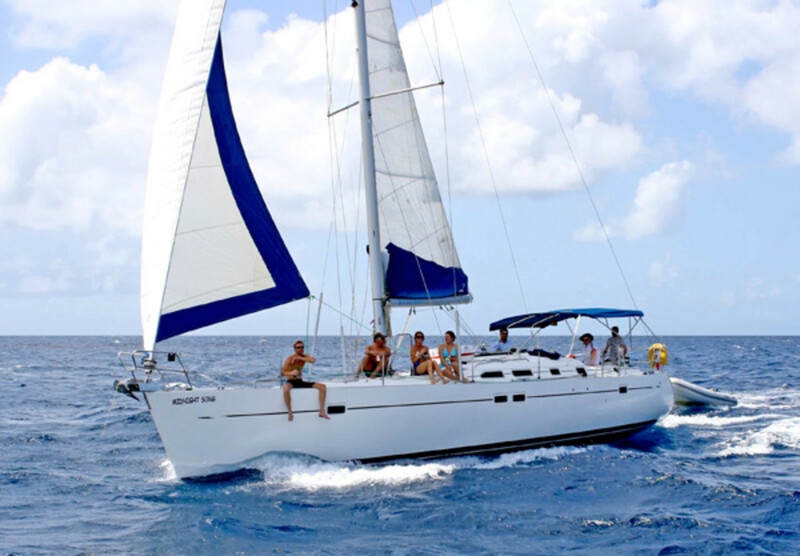 More Lagoons than any other brand of catamaran have crossed the Atlantic with the Atlantic Rally for Cruisers, and more 440s have taken part than any other Lagoon. It’s easy to see why this is such a popular boat with people heading for the tropics. Between the saloon, the vast cockpit, the wide trampoline forward and the flybridge, there is plenty of opportunity for crew to either get some private time on passage or to congregate for meals or socializing in harbor. As for the sailing qualities, the 440 is no sportster, but it’s capable of respectable passage times while keeping its crew safe and comfortable. If any further proof were needed that mass production boats can cross oceans as easily as expensive semi-custom yachts, the Bavaria 42 provides plenty of it. It’s a no-nonsense, low-budget, capable cruising boat, built to a price but well engineered, and has a straightforward interior layout with two or three sleeping cabins. A long waterline and decent sail area provide decent performance, even with the boat laden down with cruising essentials and stores. A center cockpit version, the Ocean 42, shares the same hull and was built in small numbers. 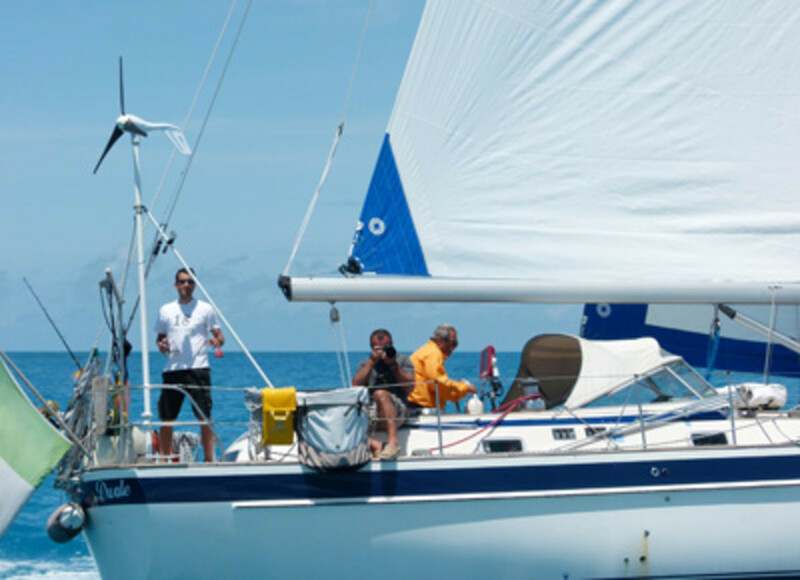 Big, comfortable, fast and reasonably priced, this boat was an instant hit for Beneteau. Great numbers of 473s were sold into the charter market, and as they aged out of the fleets, many were snapped up by cruisers with an eye for a bargain. They need little modification for bluewater work, and owners report they are stable and easy to handle in heavy weather. The three-cabin owner’s version, with a large stateroom forward that’s not much use at sea but is ideal in harbor, is the most popular with cruisers.